You're invited to Vegan Social Event's 3rd Annual Pop-Up, an evening celebrating all things vegan & sustainable! Vegan Social Events, is back this September with The 3rd Annual Vegan Social Pop-Up, an exclusive Food + Drink Tasting and Private Shopping Event! Join us for this special event celebrating all things vegan & sustainable. Vegan Social Events is proud to announce that our Charity Partner for this event is Wishing Well Sanctuary, a farmed animal sanctuary located in Bradford, Ontario. This annual event always brings together a fantastic group of influencers, media makers, the community and local companies for delicious vegan eats & drinks, sustainable shopping, music, and presentations by special guests. Vegan Social Events are known for featuring Food & Drink vendors who provide complimentary tasting items for guests to enjoy. Our Food and Drink Vendors will also have full size and “take-home” items available for sale. Sustainability has also played a strong role in all of our events and we are proud to be including lifestyle vendors, who will be showcasing eco-friendly and cruelty-free lifestyle products. The venue is TTC Accessible and is a short walk from Bathurst Station (Bathurst Street and Bloor Street). There is also public parking available nearby. Swag Bags (valued at $100+!) are guaranteed to the first 80 guests who purchase tickets. We've also added an extra block of tickets with swag bags due to popular demand. Our events are well-known for having generous swag bags filled with an abundance of high-quality items, including full size and sample size products, as well as promo vouchers. Keep reading to see a full list of items. Tickets are extremely limited for this event. Be sure to reserve yours here to avoid disappointment! Please note that tickets can only be purchased online, in advance of the event. Vegan Social Events hosts 100% vegan and sustainable events that bring together influencers, media makers, the community and local companies for delicious vegan eats & drinks, sustainable shopping, and more! In September 2016, Avra from Love Wild Live Free, hosted the first ever Toronto Vegan Social event, bringing together influencers and media makers for a celebration of the local thriving vegan scene. This event was unique to the vegan community and well received by all who were involved. The Vegan Social Events in July and September 2017, were open to the public and completely sold out - with line-ups out the door! The Sustainable Block Party + Pop-Up Market in July 2018, was hugely successful and featured James Aspey, an Australian Animal Rights Activist, as the keynote speaker. 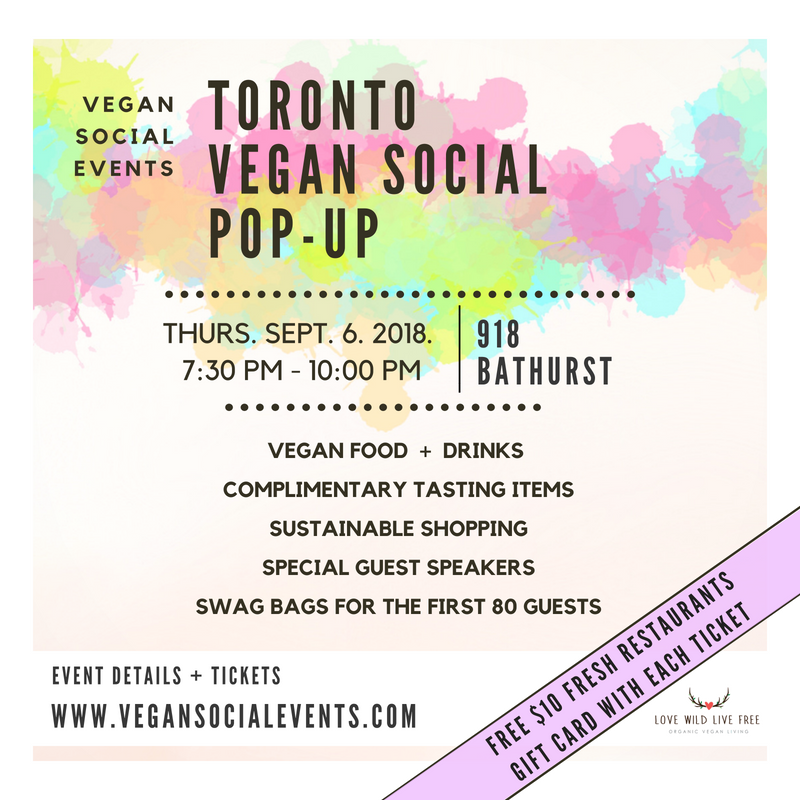 Toronto Vegan Social Pop-Up - September 2017. Photo by: 135mm Photography. To watch video recaps of past Vegan Social Events click here. Let's Make This Toronto's Most Sustainable Event Yet! At Vegan Social Events, we believe that veganism and sustainability go hand-in-hand. Animal agriculture plays a significant role as a contributing cause of serious environmental issues including, pollution, greenhouse gas emissions, species extinction, ocean dead zones, and rainforest destruction, just to name a few. As consumers, we can take the power into our own hands by voting with our dollar every time we make a purchase. 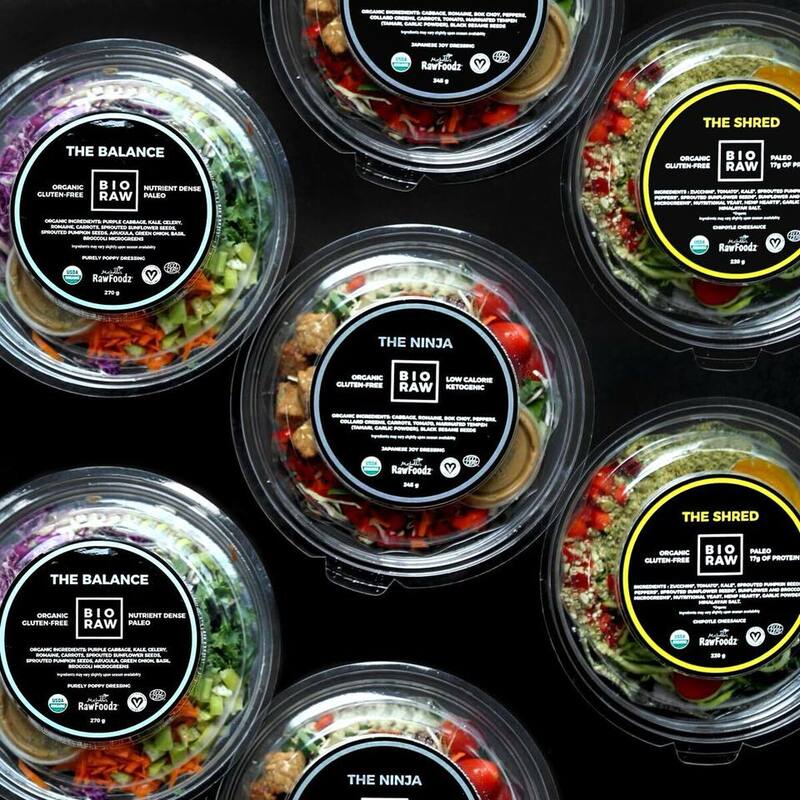 We can also make sustainable choices when it comes to the ways in which the items we purchase are packaged, by selecting products with zero packaging or compostable packaging, and by using reusable items like cloth shopping bags and produce bags. All of our vendors will be working with us to make this a zero / minimal waste event. We have requested that vendors consider the environment when preparing for this event by limiting the number of boxes, plastic, and other waste that may be produced from their booths. We are excited to share that we will have Zero Waste Bulk joining us with sustainable alternatives like stainless steel containers and safety razors, as well as Bare Market with package-free goods, including body and home care items! Be sure to BYOC: Bring Your Own Containers! Think reusable bags, glass jars, empty (vegan!) yogurt containers, cutlery, metal/glass straws, reusable bottles and bags. Every bit helps the goal of zero waste! If you would like to learn more about the environmental issues that are related to animal agriculture please visit www.cowspiracy.com/facts. As this event continues to grow each year, we have secured a larger venue space at 918 Bathurst, an arts and culture sanctuary in the Annex Neighbourhood, located in downtown Toronto. Visit our vendors in The Great Hall - a large, natural redwood auditorium that boasts a soaring cathedral ceiling, and in The Gallery - this sun-filled room which is located adjacent to the Great Hall. The venue is TTC Accessible, and a short walk from Bathurst Street and Bloor Street. Public parking available nearby. Vegan Social Events are all about bringing the community together and supporting organizations that are working in the areas of animal rights protection, and the promotion of the vegan lifestyle, as well as sustainability initiatives. 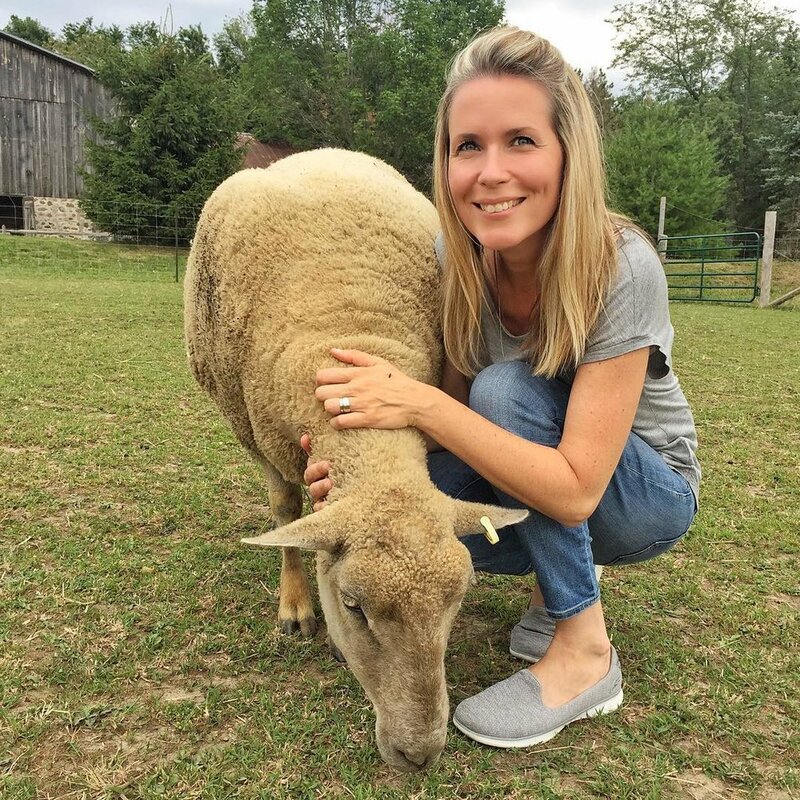 We are proud to share that our Charity Partner for this event is Wishing Well Sanctuary, a farmed animal sanctuary located in Bradford, Ontario. It is home to rescued farmed animals, including, cows, pigs, chickens, sheep, goats, donkeys, and horses, who will live out their natural lives at Sanctuary. What we love about Wishing Well Sanctuary is that they have a strong focus on education, with guided tours that are open to the public and school groups, as well as summer camps and wellness programs. Education is key to progressing the vegan movement - the more informed we are as consumers, the better our choices will be. Sanctuaries like Wishing Well give individuals the opportunity to meet and interact with animals that they might otherwise never meet and inspire compassion towards all living beings. This event will feature a silent auction with over $1,500 in vegan & cruelty-free prizes! 100% of the funds raised to be donated to Wishing Well Sanctuary. Be sure to stop by Wishing Well's booth to learn all about their work and upcoming 7th Birthday and Fabulous Fall Festival event! Wishing Well Sanctuary is located just north of "Ontario's food basket" (the Holland Marsh) near Bradford, Ontario. Just a mere 45 minutes from central Toronto. Photo by Eh Vegan. Sanctuary tours are held from March through November and offer a great opportunity to interact with the Wishing Well family. Photo by Avra Epstein. Vegan Social Events is proud to support Wishing Well Sanctuary, a Federally registered charitable organization. Photo by Eh Vegan. Canine Haven Rescue will also be joining the event! The organization rescues dogs from Mexico, Dominican Republic, Saudi Arabia, Nepal, North America and any local surrenders. Canine Haven is a non- profit organization that is run only by volunteers. None of their dogs are boarded in kennels upon their arrival, all dogs are kept in temporary foster homes until they are officially adopted. We are thrilled to have cookbook author and YouTuber Candice Hutchings of The Edgy Veg joining us with a Vegan Kitchen Essentials Round-Up! Clothing designer Jacky Wasserman of BEETxBEET will be sharing all about sustainable fashion and tips on what to look for when adding to your wardrobe! The Sustainable Duo will be joining the event with a presentation on everyday sustainable alternatives for zero waste living. Vegan Social Events are known for featuring Food & Drink vendors who provide complimentary tasting items for guests to enjoy. Our Food and Drink Vendors will also have full size and “take-home” items available for sale. Come hungry! Gluten Free Options: *Vendors with Gluten-Free options are marked with a star. Please note: we have made our best efforts to mark those companies who have gluten-free offerings, however, guests with gluten sensitivities are advised to double check with each vendor for ingredients lists. Panago Pizza will be providing complimentary pizzas with their Gluten Smart Crusts, there is a chance of cross-contamination, as they are prepared in an open concept kitchen. These pizzas are not recommended for those who are highly intolerant of gluten or celiac. Check back for updates, more vendors will be added soon! Sustainability has played a strong role in all of our events and we are proud to be including lifestyle vendors, who will be showcasing eco-friendly and cruelty-free lifestyle products. A selection of sustainable, eco-friendly and cruelty-free products that are all of the highest quality will be available for sale. Meet the creators behind the brands and learn all about products that you can feel good about supporting! Tonica Kombucha Tea is brewed and bottled in Toronto, Canada with all natural, raw, certified organic ingredients. 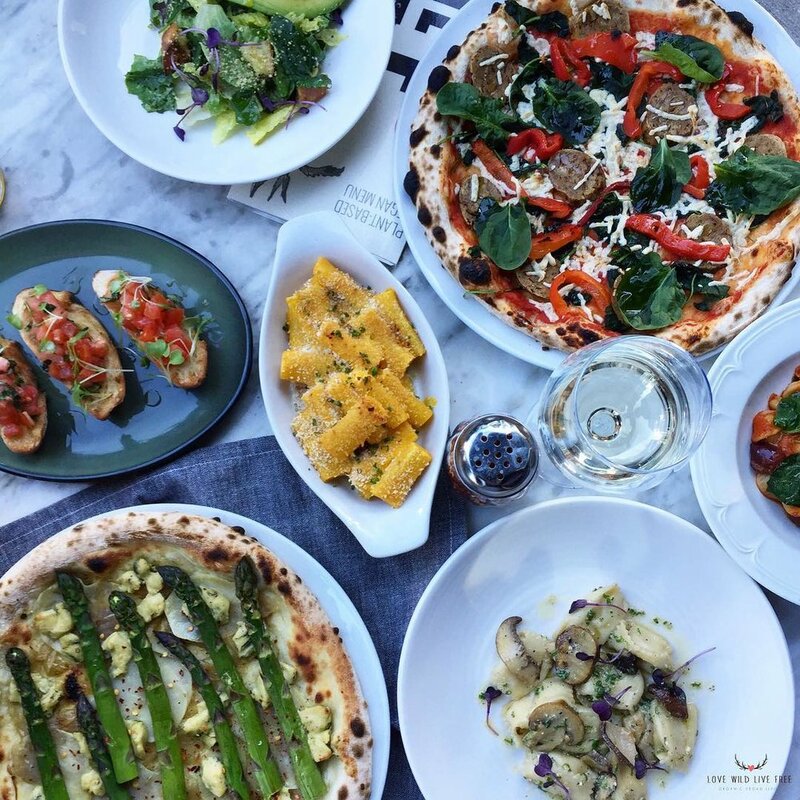 Il Fornello - If you're looking for a restaurant with an abundance of vegan options, Il Fornello has you covered with their new vegan menu which features wood fired pizzastopped with Nuts For Cheese Blue Cheese & Daiya Foods cheese. Il Fornello has generously donated a booth space to Animal Rights Toronto, an online platform with resources relating to animal rights issues and and a calendar of events for Toronto and surrounding areas. BIO RAW - Food designed for superior nutrition, without sacrificing the enjoyment of a satisfying meal. Everything we make is Certified Organic, Gluten-Free, Nut-Free. Special thanks to Fresh Restaurants for providing $10 gift cards for each of our guests, and Panago Pizza for providing each guest with a $5 Gift Card and complimentary pizza at the event. This event will feature swag bags with contents valued at over $100 - and we are still adding items! Swag bags are guaranteed to the first 80 guests who purchase tickets. We've also added an extra block of tickets with swag bags due to popular demand. Our events are well-known for having generous swag bags filled with an abundance of high-quality items, including full size and sample size products, as well as promo vouchers. The reusable canvas bags that will be used for our Swag Bags have been generously provided by Organic Garage. Special thanks to all of the companies who have generously provided items for our swag bags! Please check back as this list will be updated on an ongoing basis. Note that items are subject to change. The team for our September 6th Vegan Social Events is comprised of vegans who are passionate about the lifestyle! We are so lucky to be joined by such talented and compassionate individuals. Our events would not be possible without their hard work and dedication! Avra Epstein - Vegan Social Events Creator and Events Producer. Vegan Social Events is a series of 100% vegan and sustainable events that bring together influencers, media makers, the community and local companies for delicious vegan eats & drinks, sustainable shopping, and more! Sarah Janson - Event Planning Assistance. Sarah, pictured above at Wishing Well Farm Sanctuary, is the founder of Little By Little IC. 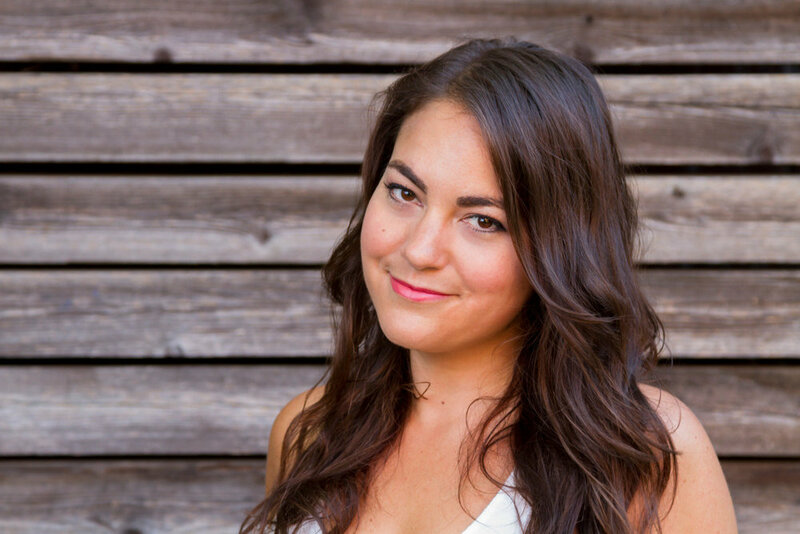 As Canada’s first exclusively vegan event planner, Sarah aims to make vegan food, beverage and vendors more accessible. She is also certified in plant-based nutrition and provides health, wellness and lifestyle coaching. 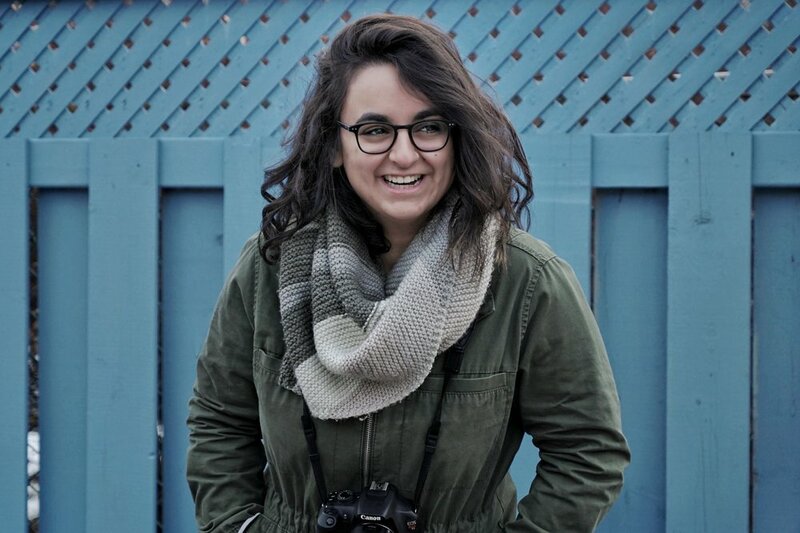 Katherine Sousa - Publicity & Media Assistant. Katherine works full time in Public Relations and is also one-half of the Two Market Girls. Check out their YouTube channel for awesome recipes and all things vegan! Lara Graham - Event Assistant & Hostess. Lara is a RYT-200 hour Vinyasa/Hatha yoga instructor. She works full time in the project management field. Michael Codner - Event Assistant. 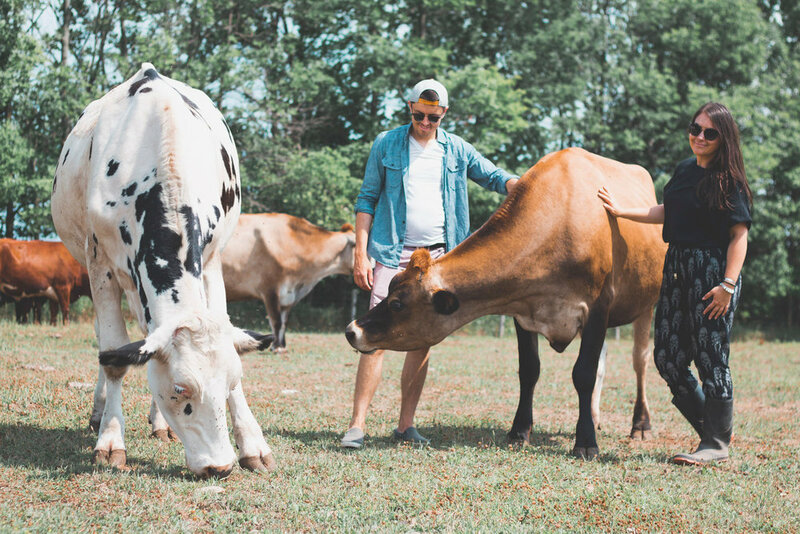 Michael, pictured at Wishing Well Sanctuary, is passionate about animal rights and promoting a healthy, vegan lifestyle. Get social with us - find Vegan Social Events on Instagram, Twitter and Facebook! RSVP & share our FACEBOOK EVENT PAGE HERE! For Vendor + Media Inquiries: please get in touch via our Contact page. To learn about past events visit: www.vegansocialevents.com. For media inquiries please get in touch via the contact page. Please note: 918 Bathurst is not wheelchair accessible. The building was designed in the 1950s, and the spaces are accessed via several short flights of stairs. 918 Bathurst is in the process of raising funds to increase the accessibility of their space and is committed to making 918 Bathurst an accessible venue. Please feel free to contact us via the contact page for any accessibility questions/concerns. This Toronto Vegan Social and this post was in collaboration with all of the companies and individuals listed above. All products and promotional items will be kindly gifted for the event. I only share products that I personally use and that are made with the highest integrity.